Radha Mangeshkar’s debut album “Naav Mazaa Shami” was recently released by the Nightingale of India, Lata Mangeshkar. She belongs to the Mangeshkar gharana and therefore has in-built talent and voice. 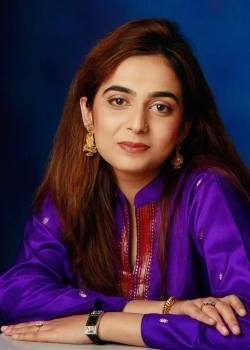 She is the daughter and disciple of Pandit Hridayanath Mangeshkar and niece of Lata Mangeshkar. The Marathi album is marketed by Saregama. The album consists of six songs and gives a new expression to the traditional folk songs highlighting varied culture and colors of Maharashtra. Radha Mangeshkar is all set to make a mark and create a standard for her own self by only inheriting talent and not the tag. She optimistically conversed and shared her experience, thoughts and future prospects in this interview. What made you debut with a Marathi album? I have been staying connected to Marathi songs by performing in several stages shows since childhood. I even used to sing duet songs along with my father. And it wasn’t planned that I’ll debut with a Marathi album. This was an opportunity that came on my way and I went ahead with it. What does it feel to be the successor of two generations of Mangeshkar family? And do you undergo any pressure because of the ‘tag’? I feel blessed to belong to a family which has produced artists with golden voices. And I respect and value this treasure. I am avoiding pressure on me. And feel the need to go easy with it. But, unwanted pressure from people around and media comes automatically. What you have to say about the album? The album is based on Marathi folk songs. It will showcase varied colors of Maharashtra. One is a koli song, two are Goan-based. The album is conceived by my father. One can’t say that through this album we are re-discovering our roots. What are your views about several reality shows on singing? It’s difficult to make your ground in this industry. That’s why I feel these reality shows form a platform for the talents which are in ample in our country but lack in exposure. Whom do you admire and look up to? I admire Lata Mangeshkar and my father. Whatever I’ve learnt is from them and therefore I dedicate my knowledge and my understanding of the music to them. I really like soft old film numbers by Lata Didi. I love music composed by Laxmikant-Pyarelal. And in Western music, I love Beatles, Barbara Streisand and Celine Dion. In Bollywood, I love Sunidhi Chauhan’s voice. Whom you desire to lend your voice in Bollywood? All the leading female actors of Bollywood are doing awesome work. I can’t pick one of the slots. I’ll love to lend my voice to all of them. I am the easy-going type. I won’t rush with offers. Whatever opportunity comes in the way, will surely grab it. But I’ve no hurry to scuttle with things, be it Marathi offers or Hindi ones.